Rock Trustees Limited is an independently owned fiduciary service provider offering services to the high net worth individual, families and corporate clients. At Rock Trustees, we are committed to finding appropriate solutions for our clients with the objective of delivering long-term asset preservation and wealth management, whilst retaining confidentiality and flexibility. Rock Trustees is a technology driven company and our clients benefit from our tailor-made in-house client portal allowing secure real time access to relevant information whilst retaining complete confidentiality. 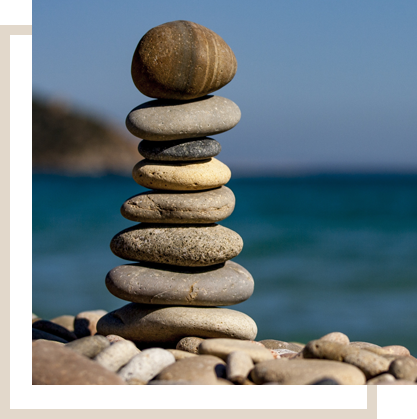 Rock Trustees is regulated by the Guernsey Financial Services Commission and has a full fiduciary licence. We have offices in Sark and Guernsey providing unique flexibility for client solutions. The content of this website, its design, layout, look, appearance, graphics, text, visual images and other materials remain the property of Rock Trustees Limited and are protected by all applicable copyright laws and international treaties. Rock Trustees Limited (hereafter “RTL”) is a Trust company governed by the rules set down by the Financial Services Regulations in force in the jurisdiction of Guernsey, Channel Islands (the Guernsey Financial Services Commission, hereafter “the GFSC”). This website contains information only about the services provided by RTL. The content of this website does not constitute investment or other professional advice and should not be used as such. A suitably qualified independent financial adviser should always be consulted when any financial advice is required. RTL accepts no responsibility or liability for any loss whatsoever which may arise from the use of this website or the content of any of its pages. RTL is not responsible for the content of any other website to which you may gain access from this website, or from which you may have gained access to this website. RTL does not accept any responsibility or liability in connection with any such links or websites whatsoever. This website is subject to the law of Guernsey and the jurisdiction of the Guernsey Courts. Any communication with this website shall be deemed to have taken place in Guernsey, Channel Islands, irrespective of where the remote user may be physically located. RTL accepts no responsibility or liability whatsoever in relation to any computer virus or similar defect which may have infected this website. Users of this website must take their own precautions regarding virus protection and security. RTL is regulated by the Guernsey Financial Services Commission (the GFSC) to conduct fiduciary business and is the holder of a full fiduciary license under Section 6 of the Regulation of Fiduciaries, Administration Businesses and Company Directors, etc. (Bailiwick of Guernsey) Law, 2000. Registration number 42219. Registered Office: Le Grenier, Grand Marche, Les Camps, St. Martin, Guernsey, GY4 6AA.